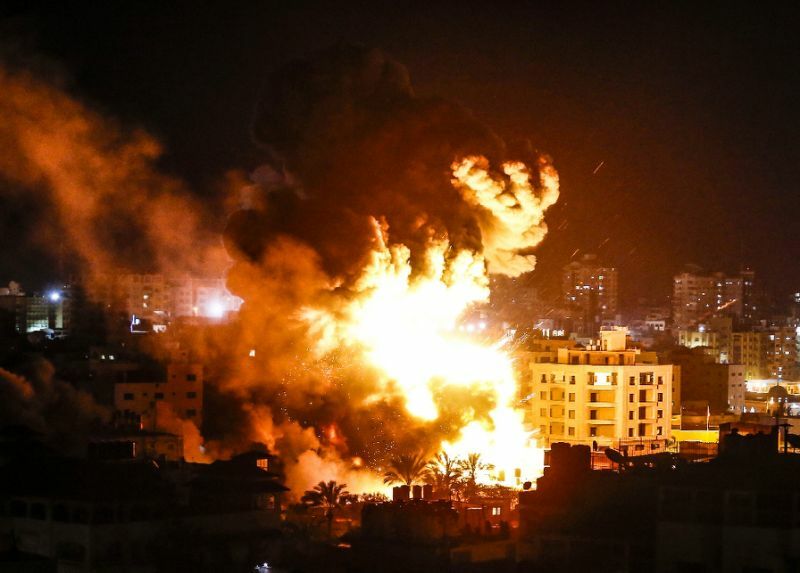 GAZA CITY, Palestinian – Israeli air strikes hit sites across the Gaza Strip on Monday in retaliation for a rare long-distance rocket attack that struck a house near Tel Aviv, but Hamas said later a ceasefire was reached. Hamas, the Islamist movement that runs the Gaza Strip, said Egypt had brokered the ceasefire following the escalation that came just two weeks before Israel's April 9 elections. There were no immediate reports of damage or injuries due to those rockets.Seven people were wounded in Gaza, the enclave's health ministry said, as explosions rocked areas of the Gaza Strip and balls of fire rose into the sky. Residents of Gaza said the building was known to house the Hamas-linked Multasim insurance company.Hamas's interior security office in Gaza City was also hit. Israel's military said 30 rockets were fired from Gaza toward Israel by 10:00 pm, with some intercepted by air defence missiles and others falling in open areas. The house was destroyed, with burnt wood, a children's toy and other debris piled at the site. No damage or injuries were caused, but Israel responded to that and further rocket fire by hitting what it said were around 100 Hamas targets across the Gaza Strip.Four Palestinians were reported wounded in those strikes. Even if the ceasefire announced by Hamas holds, there could soon be further tensions.Saturday marks the first anniversary of Palestinian protests and clashes along the Gaza Strip's border with Israel.